Where might elements of the Climate Change lesson occur in the 5 Es lesson model? With a Shoulder Partner, complete the 5Es scaffold for the Climate Change or Flow Charts lesson. What are your ideas for units of study you might improve this year? What might be a unit of instruction you would like to improve this year ? Find a "sole" mate and share your topic ideas. Join another pair and share responses. What are your ideas about "real world" connections to your unit topics? Review the STEM Literacy Project Unit Plan Template, and make a copy to edit. Focus on one unit of instruction you will be teaching this year. -What is the rationale of the unit? Why is it important? -What goals do you have for what students will learn and do in this unit? -Why does this lesson/content/focus matter in the larger scheme of life? -What areas might this lead to for issues, problems, questions? Select 1-2 lessons from this unit of instruction to focus on. 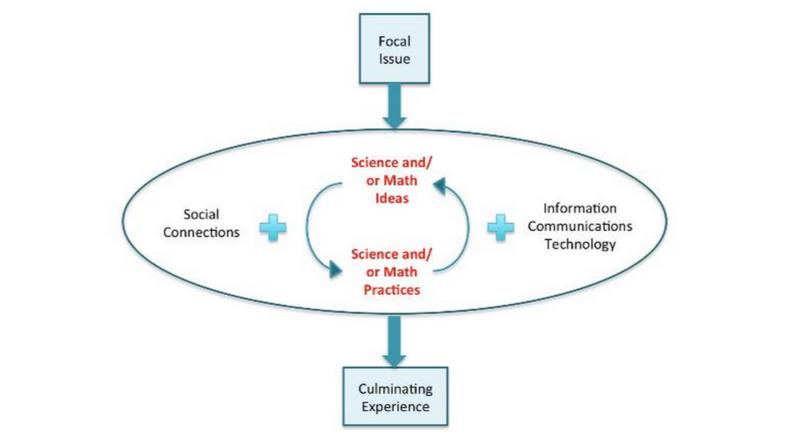 How might these align with the attributes of STEM literacy lessons? What areas does this lesson/content/focus connect to beyond your curriculum (math, science, literacy). Share progress with your Think-Pair-Square groups.